Planning a trip to the Nation’s Capital? 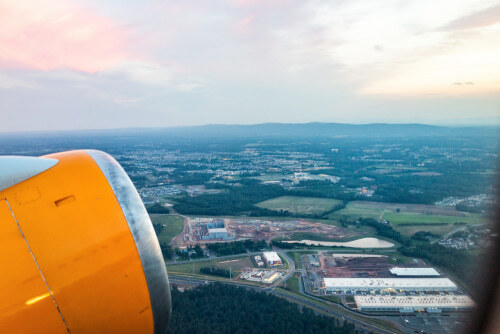 Chances are you’ll make a stop at Dulles International Airport, one of the Washington, D.C. metro area’s main airports. Serving over 21 million passengers a year, Dulles stays busy throughout all travel seasons. With the help of private transportation from National Charter Bus, your travels to and from the airport will be smooth and simple. Start planning your group transportation today by calling our 24-hour team at 202-250-3441. 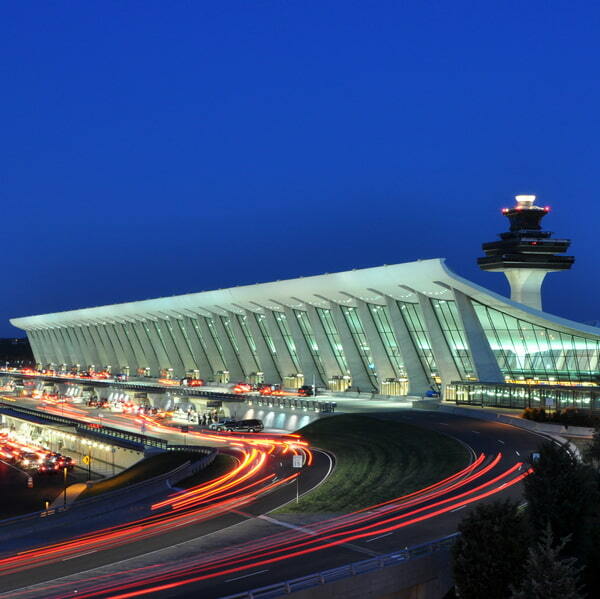 Dulles International Airport sits 26 miles outside of the center of Washington, D.C. in Dulles, Virginia. Along with Ronald Reagan DCA in Arlington, Virginia and Baltimore/Washington International Airport in Baltimore, Maryland, it is one of three main airports servicing D.C.; however, Dulles holds the distinction of hosting more passengers per year than both DCA and BWI and receiving more international passenger traffic than any other Mid-Atlantic airport (with the exception of the NYC metropolitan area). Dulles is also home to state-of-the-art security checkpoints designed to drastically reduce wait times for passengers. With your in-airport time already reduced, let National Charter Bus help to reduce the time you spend driving around the airport! We’ll pair you with a reliable shuttle bus rental to help complete all of your travel plans in and around Washington, D.C.
Booking your flight to Washington D.C. is easy, but getting to and from the airport can be a unique challenge, especially if you’re traveling with a large group. National Charter Bus can help you book a reliable shuttle bus for your group that will be ready to pick you up when your plane lands at IAD. You won’t need to wait around for a rideshare service or try to navigate public transportation; we’ll send a personal driver to retrieve your group from Dulles when you’re ready to get your adventure started. Once your trip has wrapped up, you can count on your bus to return you to the airport in time for your flight. With a personal shuttle, you can travel on your own time in a private vehicle designated specifically for your group. If you’re running a few minutes behind at baggage claim, you won’t need to worry about your bus leaving without you. Simply call your driver and let them know of any delays, and they’ll wait for you to arrive. Conversely, should your driver encounter unexpected delays on their trip, we’ll let you know as soon as possible, so that you always know what to expect. Sit back and relax on your private bus with amenities such as reclining seats, air temperature controls, WiFi, power outlets, and televisions with DVD players to make your ride comfortable. After a long flight, you’ll be able to relax with these amenities and more, many of which are available at no additional cost to you. 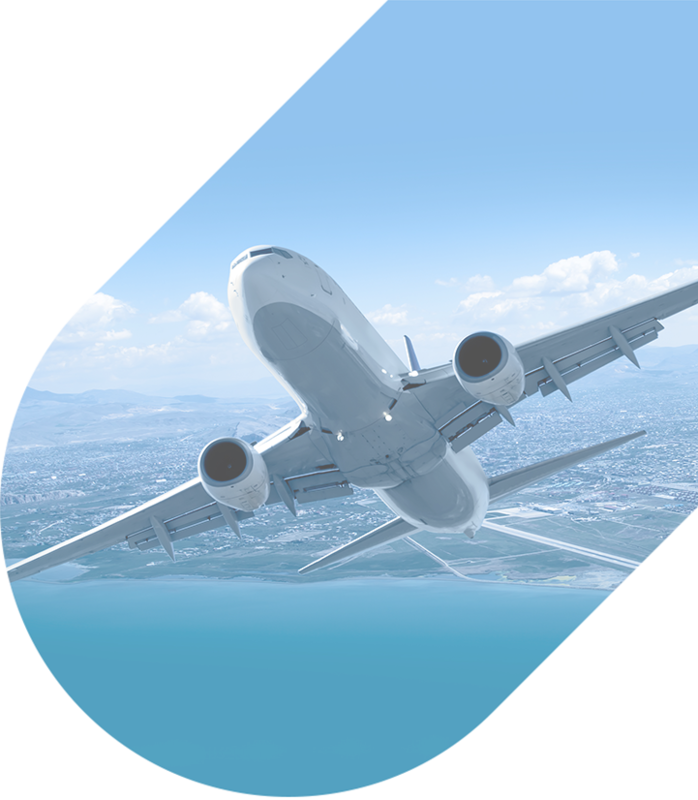 Whether you’re just shuttling to your hotel a few blocks away or you have another hour left of your trip, we’ll ensure that your journey from the airport is a safe and comfortable one. Once your bus has picked you up at Dulles, we’ll transport you directly to your hotel or to any destination on your itinerary. If you’re in need of transportation after your airport shuttle service, we’ll arrange for a bus to stay with your group throughout your Washington, D.C. stay, helping you travel to restaurants, museums, historic landmarks, and more with ease. We’ll stick to your pre-determined schedule and take the stress out of navigating unfamiliar roads, driving in hectic traffic, or deciphering public transportation routes. With National Charter Bus, your trip will progress smoothly. Complete your Washington, D.C. travel plans with National Charter Bus today! Call our 24-hour reservation specialists at 202-250-3441 to receive a free, personalized quote for your trip. We can’t wait to help complete your next D.C. trip!